How to redirect to a different webpage based on a option selected on the form? 2. 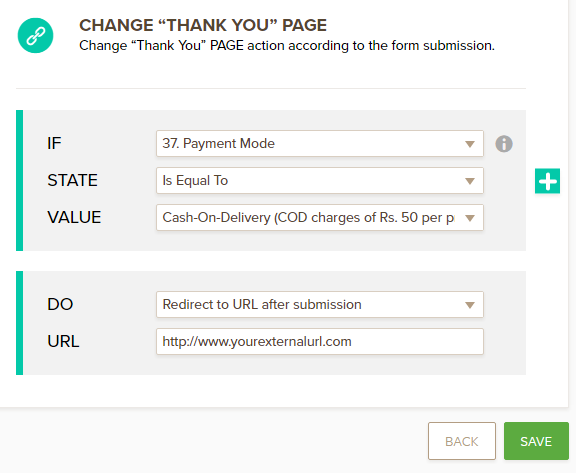 I want to setup a condition on the submit form based on the reply to one of my form question (Payment mode question). If the answer to the question is option 1, I want the "Thank you" page to be shown. If the answer to the question is option 2, i want the user to be redirected to an external URL. I've played around with the conditional logic and the Thank you page but I cant seem to make this work. Infact, when i click on the submit button in preview, no action happens. 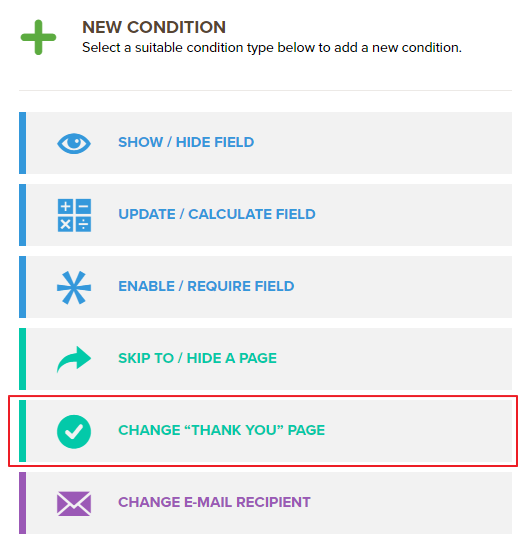 You may setup a condition using Change Thank you page in the conditions wizard.